This is a personalised first birthday card for our returned client who ordered their wedding cards with us a few years back. It's their second order for their baby's first birthday card. 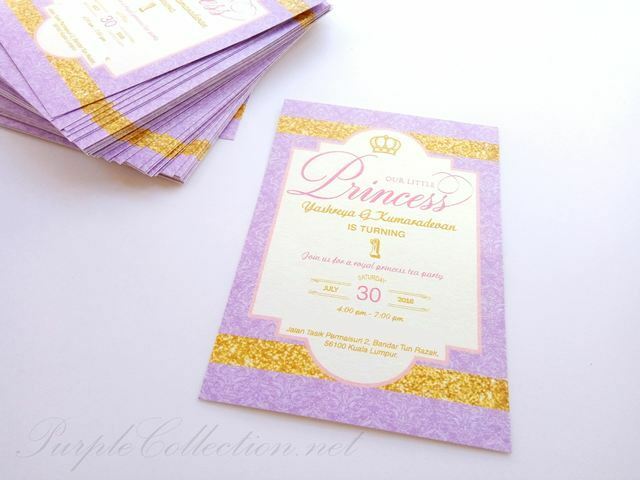 The couple preferred to have a sweet purple with an elegant finishing on the flat card format. 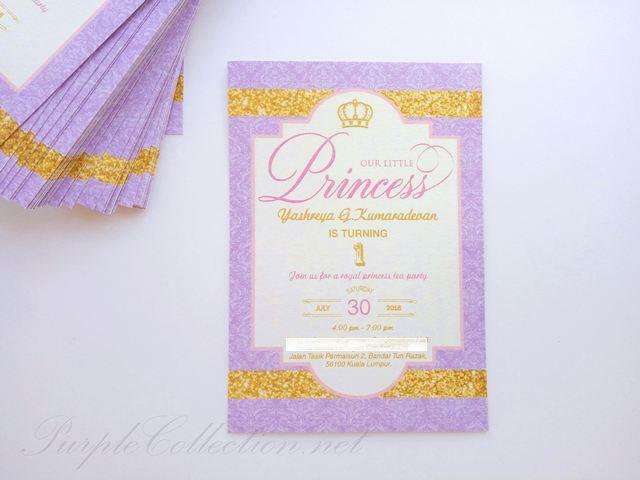 So we came up with this design with a crown, printed glittered gold ribbons and an elegant damask background on the card. If you're planning to place an order for your baby's invitation card, click on the below button to enquire now! Tell us your theme and colours and we'll design for you! To inquire on custom birthday invitation cards, please email to us for the quotation.